In February we covered Daniusoft Media Converter Ultimate, which is powerful converter with the ability to remove DRM. 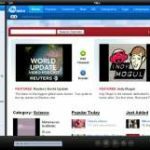 A few days back, Daniusoft rolled out a free version of their video converter. Video Converter can not only convert video/HD Video to AVI, WMV, MPEG, MOV, FLV, MP4 easily and quickly. but also can extract audio from video to MP3, WAV, WMA. 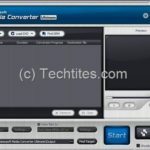 In addition, this free video converter allows you to DIY your video with video editing options: cropping video, trimming video length, merging two or more video clips, adjusting video effect etc.